Tanzania’s legendary landscapes of Tarangire, the Serengeti, Lake Ndutu, Arusha National Park, Lake Manyara, and the Ngorongoro Crater offer the ultimate and most fantastic ‘African wildlife’ experience imaginable. A visit to the Ngorongoro Crater is an awesome experience and also a spectacular backdrop for viewing Black Rhino, Leopard, Lion, Buffalo, Grant’s & Thomson’s Gazelle and Burchell’s Zebra; in the grassy plains of the Serengeti, magnificent Cheetahs chase antelopes and prides of Lions stalk the thousands of migrating Wildebeest; and the vast savannahs of the Tarangire National Park are home to large herds of Elephant. 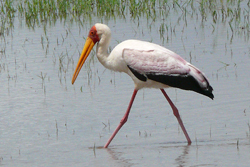 With so many exciting mammals, it must not be forgotten that Tanzania is also an excellent destination for birdwatching: hornbills, kingfishers, bee-eaters, sunbirds and rollers provide splashes of brilliant colour, and the lakes are brimming with flamingos, storks ibises and many raptor species. 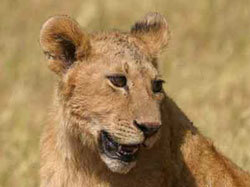 Our itinerary in Tanzania offers the complete safari in 4x4 Landcruisers. Days 3 & 4: Two days in the Tarangire National Park. This vast area of savanna, thornbush and swamp is home to large herds of Elephant and an array of other animals, including Leopard, Lion, Wildebeest, Zebra, Buffalo, Impala, Thomson's Gazelle, Hartebeest and Eland. We will also be looking for the scarce Oryx and Gerenuk. 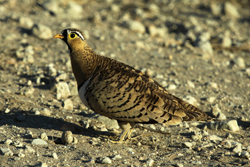 Amongst many bird species are Crested Francolin, Black-faced Sandgrouse, Woodland Kingfisher, Orange-bellied Parrot, Lilac-breasted Roller, Northern Pied Babbler and Magpie Shrike. Day 5: Lake Manyara, our next venue, is situated in the Great Rift Valley. The National Park has a wonderful mosaic of habitats, including woodland, swamp and grassland, plus a soda lake brimming with Greater & Lesser Flamingos, Pink-backed Pelicans and Yellow-billed Storks. Manyara is also famous for its tree-climbing lions. 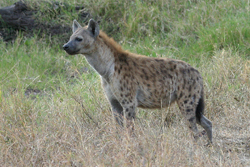 Days 6-8: On Day 6 we’ll drive along the Ngorongoro Crater rim to the superb and world famous Serengeti National Park. The Serengeti covers some 12,000 sq. 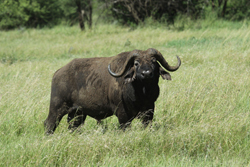 km and is a superb wildlife sanctuary. During the next three days, we’ll cover different areas of the Central Serengeti's vast Acacia clad plains. There are reputed to be two million Brindled Gnus (Wildebeest) here, not to mention many Lions and a wonderful selection of other mammals, including: Cheetah, Leopard, Serval Cat, Bat-eared Fox, Spotted Hyena, Grant’s Gazelle and Kirk’s Dik-dik. 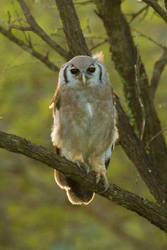 A superb array of bird species includes Long-crested Eagle, Montagu’s Harrier, Secretarybird, Pygmy Falcon, Two-banded Courser, Black-bellied Bustard, Grey-headed Kingfisher, Verreaux’s Eagle-Owl, Kittlitz’s Plover, Cardinal Woodpecker, Marico Sunbird, Silverbird, Pin-tailed Whydah and Speckle-fronted Weaver. Days 9-10: We leave the Central Serengeti and travel to the Lake Ndutu region on the border of the Serengeti NP. The area’s two lakes Ndutu and Masek support a wealth of diverse birdlife, within habitats of wetland, grassland and woodland. Ndutu can at times can be the best area in the Serengeti, with tens of thousands Brindled Gnus, Zebras and gazelles, with predators in attendance. 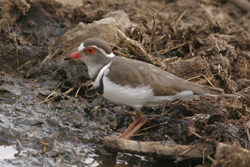 Days 11-13: On Day 11 we travel to the spectacular Ngorongoro Crater, with its phenomenal array of birds and game. This is simply a scenically wonderful and fascinating location and a visit here is a truly awesome experience. Our game drives into the crater should reveal a wealth of mammals, including: Black Rhino, Brindled Gnu, Grant's Gazelle, Buffalo and Lion. Amongst the diverse birdlife Abdim's Stork, Cape Teal, Rosy-breasted Longclaw, flamingos, Olive Pigeon, Schalow's Turaco, African Cuckoo, Cinnamon-chested Bee-eater, Common Scimitarbill, Bare-throated Apalis and Jackson's Widowbird are present. Days 14-15: On Day 14 we catch our return flight from Kilimanjaro to the UK, via Amsterdam. Max. Group: 5 plus leader or 10 plus two leaders in 2 safari vehicles. Economy class scheduled return flights (UK-Kilimanjaro-UK), accommodation (based on twin occupancy), meals, transportation in Tanzania, reserve entrance fees and services of leaders. Travel insurance, drinks and items of a personal nature.